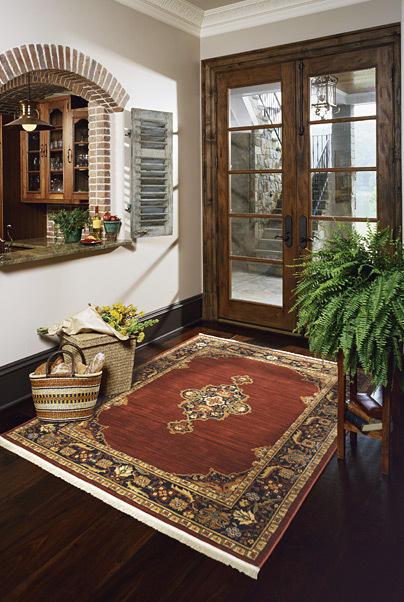 Kermans Flooring has its roots in area rugs. Robert J. Benjamin, who came to the United States at the age of 16 from the northwest city of Rezaiyeh, Persia, started Kermans Oriental Rug Company in 1921. By the 1960s, Benjamin’s three sons were also working in the family business and Kermans Oriental Rug Company became Kermans Flooring as it expanded to become a complete floor covering business and one of the premier flooring stores in the state of Indiana. Today, Kermans is run by the third generation of the Benjamin family. Always known for carrying high quality area rugs, Kermans has also become known for quality, service and a rich tradition of values that stands strong even in the midst of an ever-changing market. We continue to carry a wide variety of both hand- and machine-made area rugs and, falling back on our history, we also offer rug cleaning and repair services. Dedicated to the art of delicate area rugs. As a part of our Kerman Advantage program, we have expanded our cleaning and repairs abilities to include all rugs from handmade oriental rugs to custom broadloom rugs. We have also introduced a new pricing point to accommodate the different processes involved in cleaning machine-made and broadloom rugs. Fill out the “Ask the Expert” form for more information and any questions you may have for our cleaning department.